Of all the one-make racing series in the world, one that has really caught our attention is the Maserati Trofeo MC World Series. We like this series because it’s pretty competitive and because it features a race version of one of the supercars we love the most: the GranTurismo. 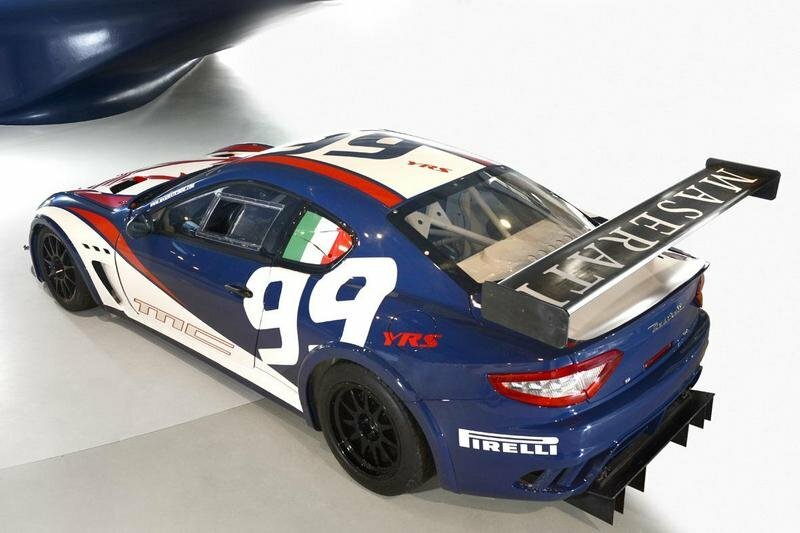 Maserati recently lifted the covers off of the GranTurismo MC Trofeo and just as it was last year, the 2013 version is all sorts of awesome. 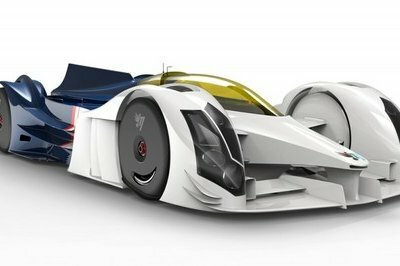 Some modifications have been made to the 2013 GranTurismo MC Trofeo, including the widening of the track and the reduction of the weight, dropping it down to just 1,380 kg (3,042 pounds). But for the most part, the 2013 model is still pretty similar to its predecessor, including the it carrying the same 4.7-liter V-8 engine that produces roughly 490 horsepower. The Maserati Trofeo MC World Series season is set to kick off in France this coming April 28th. Fifteen teams have already signed up for the series and with the aim of getting twenty teams on board, organizers are poised to have a pretty stout field that could rival the 84 drivers from 24 countries who competed during the 2012 season. Modena, 13 March 2013 – The Maserati GranTurismo MC Trofeo went through an early-season shakedown at Vallelunga and Mugello. 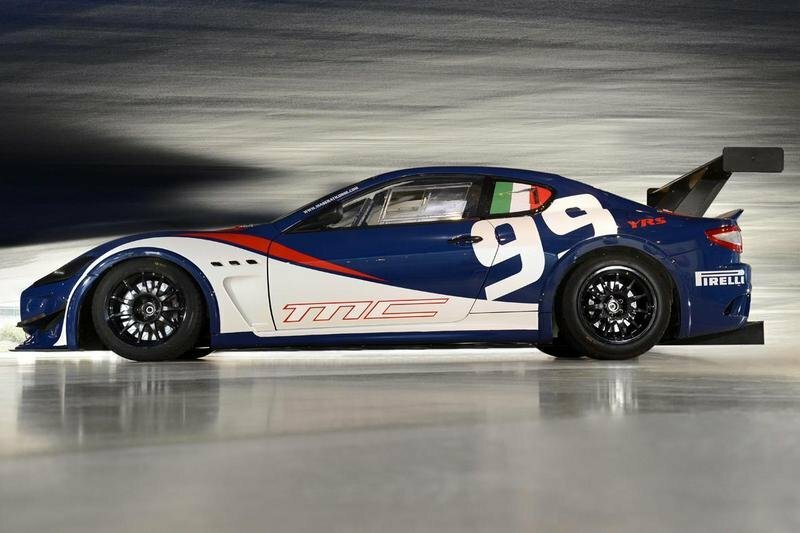 The car will star in the 2013 Maserati Trofeo MC World Series and the session saw ten drivers, all newcomers to the series, take to the track for the first time. 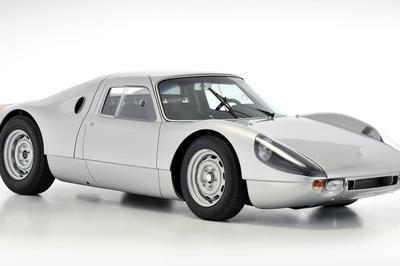 The car has been overhauled but has the same technical spec as the 2012 version, a season when significant aerodynamic regulations were introduced, the set up was tweaked with a widened track, and the overall weight reduced to 1380kg. All of the Maserati GranTurismo MCs are made track-ready by technicians who work to even out the cars’ performance levels and set up for each weekend of racing. Another carry-over from last season will be the powerful 4700cc V8 engine and the car’s Pirelli tyres. Among the cars on the track was the Number 99, a figure that recalls the time since Maserati was established; in 2014 the company will celebrate its 100th birthday. The car’s base colour is blue, the same hue used on the MC12 when it dominated the FIA GT series, with a nod to the Maserati GranTurismo MC Stradale in the Bianco Perla colouring. The championship will kick off at Paul Ricard, in France, on 28 April. 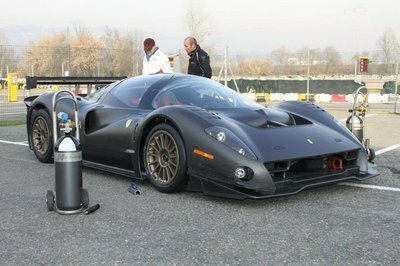 Before that, on 14 April, the official test session will be run at Misano. The legendary circuit of Nuerburgring, Germany, is scheduled for 2 June with Silverstone, on 14 July, marking the halfway point in the season. The English weekend will also see the season’s first title awarded: the Trofeo Europa. Last year the crown was won by Belgian driver Renaud Kuppens, who also went on to take the overall title. Round four will be held at Sonoma (California), USA. The circuit is situated not far from San Francisco and will be the first stage held outside Europe. Next up will be Asia, on 3 November, and the circuit of Shanghai, China. This was the scene of last year’s closing Trofeo Maserati race but this time round the curtain will come down at Abu Dhabi, in the United Arab Emirates, on 14 December. This will not be the first time that the Middle East has hosted a Trofeo series as the Maserati Trofeo JBF Rak was run there from December 2011 to March 2012. To date, around fifteen teams have signed up for the series and the aim is to top twenty. Another objective is to maintain the championship’s international flavour given that 84 drivers from 24 countries took part in 2012. This season, each round will see the running of two 45’ practice sessions and two official qualifying sessions lasting 20’ each. There will also be two 30’ races and one lasting 50’ with a compulsory pit stop for crewed cars; last year this longer format was only run at some of the meets. To make things even more exciting and to balance things out on the track, a new handicap rule will come into play for the quickest drivers: the drivers who place in the top five in the first two races in each round (determined by totting up the results) will have to pit for more than the obligatory 45-seconds in Race 3. This added time will range from 5 seconds for the fifth-placed driver to 20 seconds for the driver in top spot. 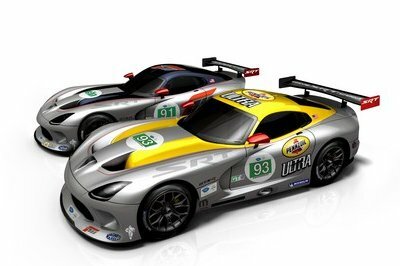 The Trofeo package allows drivers to compete on their own or as part of a private team that fields its own 2010, 2012 or 2012 version of the car. This car must meet all the technical regulations laid down by Maserati. The all-inclusive cost for the ‘world’ races (1 test and 6 rounds) is €120,000 net of tax. The cost of participation in the first round, at Paul Ricard (including the Misano session) is €30,000 net of tax. The Trofeo Europa (Paul Ricard, Nurburgring and Silverstone, as well as the Misano test session) is €70,000. 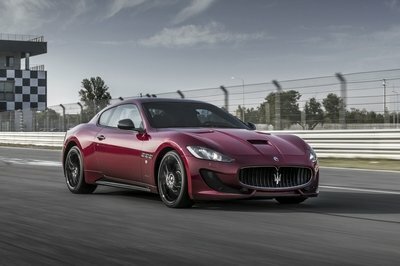 I love the funky design of the 2013 Maserati Granturismo especially the crisscross looking design in the front. It makes it more unique and nice. I know this car is awesome but I will tear the thing that stick into its bumper if this car will be taken into the city or market. At first, seeing the design of it, didn’t really convinced me, but afterwards, the power and the technical capabilities, made me rethink my opinion about this car.Wow! Why do they have to put on all of those stickers?It looks kitsch! Okay, my jaw just dropped! This race car is the best I have ever seen in my life! I hope to see as soon as possible the competitors to make the differences between them. What is so special cause I can’t figure alone? I never was a race car fan and because of that I suppose I can not appreciate them to their real value.